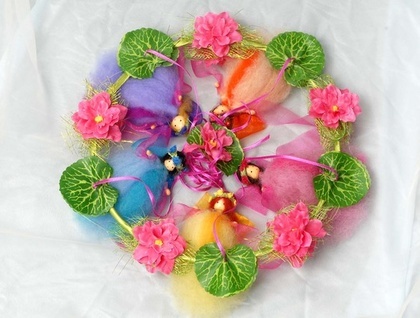 Made with 100% pure NZ wool fleece, these fairy rings make the perfect gift for any occasion. Each being is lovingly designed and handcrafted and shows a distinctly unique and adorable character. The little faces are individually hand painted and will charm and enchant you. 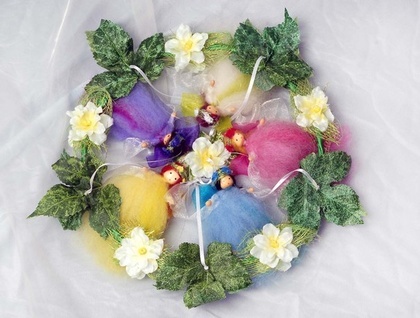 In the extensive range of Woodlands Enchanted characters you are sure to find the most delightful presents for babies, children and adults of all ages. 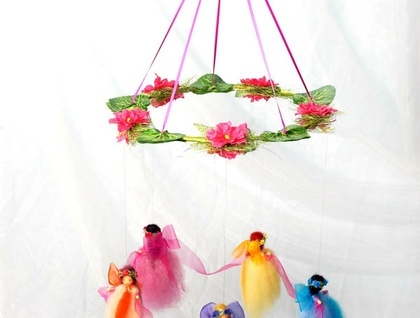 The fairy mobiles are popular gifts for birthdays and baby showers and will create the most beautiful atmosphere in your home. 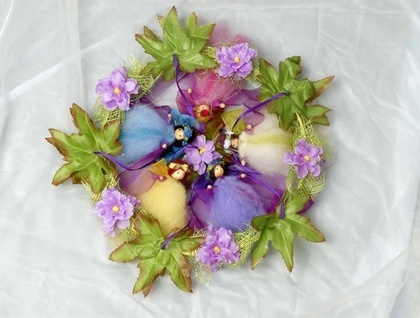 Like a bunch of flowers they enhance any room and are loved by young and old. Each mobile comes in an environmentally friendly cardboard gift-box. PLEASE NOTE: Leaves and flowers may sometimes vary - but we will always endevour to provide a product as similar as possible to your choice. Approx weight when boxed is 250 grams. Contact woodlands to enquire about payment or shipping options.